New York's ZEV Investments Increase Clean Transportation Statewide; Commitment From State's Environmental Protection Fund Will Advance the Governor's Aggressive Clean Transportation and Climate Change Goals. Albany, NY - September 12, 2017 - Governor Andrew M. Cuomo today announced $2.2 million from the Environmental Protection Fund is now available in rebates for municipalities to purchase or lease electric, (plug-in hybrid or battery) or hydrogen fuel cell vehicles for municipal fleet use, and for installation of public charging or fuel cell refueling infrastructure. The State's zero-emission vehicle and infrastructure investments will advance the Governor's clean transportation and climate change goals by reducing greenhouse gas emissions. "New York is committed to reducing greenhouse gas emissions from the transportation sector, just as we have already significantly reduced emissions from electric power," Governor Cuomo said. "These investments are part of New York's focus, at all levels of government, to build cutting-edge, resilient infrastructure, generate more energy from renewable sources, and support a cleaner, greener, more sustainable New York for all." This rebate program will be administered by DEC through the New York State Grants Gateway. DEC will accept applications from municipalities for rebates beginning Tuesday, September, 12 through May 31, 2018. Funding available through round two is included below. Costs incurred by a municipality on or after April 1, 2016, to own, or lease for at least 36 months, a new clean vehicle for its fleet are eligible. Rebates of $2,500 are available for vehicles with a 10-50-mile electric range; $5,000 rebates are available for vehicles with a 50+ mile-electric range. Costs incurred by a municipality to install Level 2 networked chargers or provide charging stations that offer Direct Current Fast Charging service are eligible, up to $8,000 per port or $32,000 per fast charger pedestal, limited to $250,000 per location. A match equal to 20 percent of the rebate request is required. Costs incurred during the contract term by a municipality to install or contribute to installation of a facility for refueling hydrogen fuel cell vehicles are eligible, with a required match equal to 20 percent of the rebate request. Limited to $250,000 per facility. In round one of the ZEV rebates, municipalities purchased 79 clean vehicles and were awarded rebates to install 194 new ports of public charging capacity. DEC's rebates for municipalities complement Governor Cuomo's Drive Clean Rebate initiative, which provides New York residents with rebates of up to $2,000 for the purchase of a new plug-in hybrid electric car, all-electric car, or hydrogen fuel cell car. The initiative is managed by the New York State Energy Research and Development Authority. 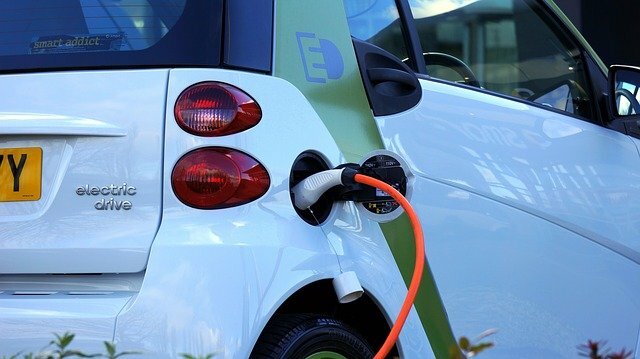 More than 30 different types of electric cars are available for consumers and can be found on the Drive Clean Rebate website. Department of Environmental Conservation Commissioner Basil Seggos said, "DEC is pleased to support municipalities in their efforts to transition to their municipal fleets to clean vehicles and install clean vehicle charging and fueling infrastructure for their communities. Forward-thinking municipalities like our 208 registered Climate Smart Communities are key players in New York's greenhouse gas emissions reduction strategy." New York State Energy Research and Development Authority President and CEO Alicia Barton said, "Under Governor Cuomo's leadership, the State is supporting initiatives that will lead to the reduction of harmful emissions from the transportation sector. The actions that municipalities and local governments are taking to electrify their fleets will ensure a more sustainable and cleaner future for communities across the state." New York Power Authority President and CEO Gil C. Quiniones said, "NYPA looks forward to its continued partnership with the DEC to meet the objectives of the Governor's Charge NY initiative. In the first round of DEC funding, we worked with multiple municipalities to facilitate the roll out of additional charging infrastructure, which serves as a direct stimulus to consumers to buy these efficient vehicles. Moving forward, we anticipate even more communities will act to implement clean technologies." State Senate Environmental Protection Committee Chair Tom O'Mara said, "The ongoing implementation of clean energy strategies is critical to New York State's long-term energy future. Consequently, I'm pleased to help develop and support initiatives and investments like this one, through the Environmental Protection Fund, to assist municipalities transition their transportation fleets to electric and/or hydrogen fuel cell, zero-emissions vehicles. It will make a great difference." State Senate Energy Committee Chairman Joe Griffo said, "The Senate is proud to partner with Governor Cuomo to invest in emerging technology that will put municipalities across New York on the road to energy independence while helping to reduce emissions harmful to the environment. Thanks to the power of a fully funded EPF, New York State is investing in and incentivizing progressive projects that support and strengthen our state's long-term sustainability." State Assembly Environmental Protection Committee Chair Steve Englebright, "These municipal grants are an exciting step toward building a cleaner New York. These funds move New York towards a future where we will be able to drive anywhere in New York State using electric or other zero emission vehicles. Initiatives such as this will help New York reach its climate change and clean energy goals by reducing greenhouse gas emissions." State Assembly Energy Committee Chair Amy Paulin said, "I am very pleased to see this opportunity for municipalities both to reduce emissions from their own fleets and to encourage residents to purchase zero-emission vehicles by increasing the availability of charging stations. As more charging stations become available, consumers will be more likely to purchase zero-emission vehicles and contribute to the achievement of New York's ambitious emission reduction goals." These rebates advance the state's goal to reduce greenhouse gas emissions 40 percent by 2030 under Governor Cuomo's Reforming the Energy Vision strategy. ZEVs have the potential to reduce emissions by as much as 75 percent per mile. The rebates will also help New York meet commitments as part of the Multi-State ZEV Partnership, which aims to put 3.3 million ZEVs on U.S. roads by 2025. Governor Andrew M. Cuomo's Charge NY initiative will accelerate the growth of the electric vehicle market in New York State through education, research, consumer outreach, and financial support for the installation of charging stations across New York. More than 1,600 electric vehicle charging stations have already been installed toward Charge NY's goal of 3,000 charging stations by 2018. NYSERDA, NYPA, and DEC collaborate on this initiative as part of the State's goal to reduce greenhouse gas emissions by 40 percent by 2030. For questions about municipal clean vehicle/ZEV infrastructure rebates, email ZEVrebate@dec.ny.gov or contact DEC's Office of Climate Change at 518-402-8448. Subject: LongIsland.com - Your Name sent you Article details of "Governor Cuomo Announces $2.2 Million For Municipalities For Zero-Emission Vehicles And Infrastructure"